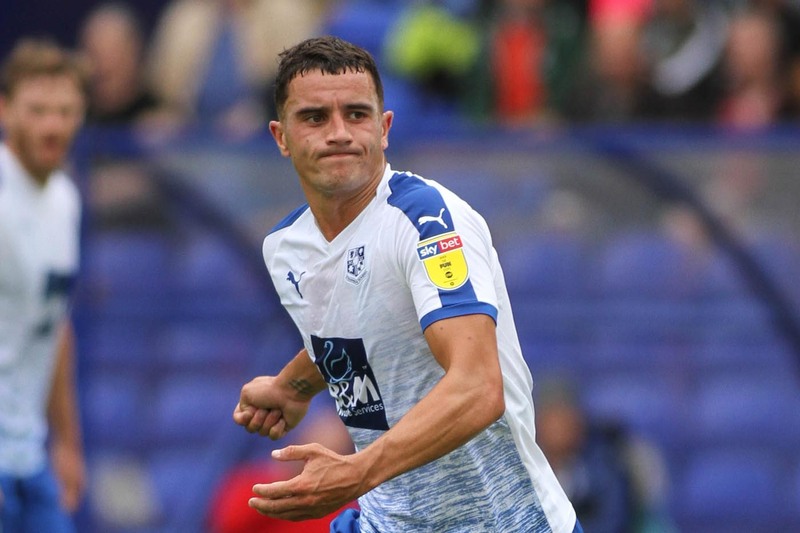 In recent times, transfer deadline days have been largely irrelevant from a Tranmere perspective, but that could change today. The English transfer window closes today at 5pm, meaning that once that time passes, no transfers between clubs can happen until January. However, Rovers will still be able to bring in loan players, categorised as ‘emergency loans’ for spells of up to three months, and free agents. Today could see more activity than on this day in recent times. Here’s why. Oliver Norburn – Speculation shows no signs of relenting on this one with Shrewsbury seemingly the clear front-runners. The midfielder still has nearly a year on his Tranmere contract so would command a fee, but can Rovers hang on to him? We understand that the club is looking to tie the player down to a new contract, however, the lure of League One football and joining up with former boss John Askey may prove too much. Let’s not rule out spending power either. As crazy as it is to say for a club like Shrewsbury, they have some clout when it comes to salaries at least. Yesterday they signed Lincoln captain, and former Tranmere defender, Luke Waterfall. Lincoln boss Danny Cowley described the offer to the player as ‘life changing’ and stated that the Imps ‘couldn’t compete with financially’. Shrewsbury also sold two players to Ipswich yesterday, so they have cash to spend. If Norburn goes, hopefully Tranmere can command a strong fee for him. Luke Pilling – we understand that young keeper Luke Pilling could be off out on loan again in the coming weeks. This may not happen today, but will probably happen before the end of the month. George Waring – Rovers are still trying to offload forward George Waring. He had a trial at Grimsby earlier in the summer but did not earn a deal, and since then he has been nowhere near the Rovers first team squad. Franklyn Akammadu – Young striker Akammadu played games on trial for Rovers during pre-season, appearing against both Chorley and Rochdale. Micky Mellon was keen to have a further look at him and he continued to train with the club in the lead-up to last week’s opener against Stevenage. While we cannot confirm that he is still with Rovers, we do know that the player was still in Merseyside yesterday which seems to suggest that his chance of earning a deal is not dead. This may rest on how Mellon gets on with other targets, or perhaps any sale of Norburn would trigger some new signings. Danny Rowe – Long-time target Danny Rowe now looks incredibly unlikely to come to Prenton Park. Rovers saw a £25,000 bid rejected earlier this summer and there has been no confirmation of any further bids. Saturday’s opponents Cheltenham have had bids of £100k, £150k and £175k turned down for the player, so you’d guess it’s highly unlikely, even if the Norburn move happens, that Rovers will go back in for the player. A fee like that is frankly crazy. Loan signings – Perhaps the most likely thing to happen today would be incoming loan players. Mellon is still keen to add at least one more striker to his squad, and if Akammadu or Rowe do not happen, then a youngster on loan from a Championship or League One club might. As we’ve stated above, loan moves can still happen after the transfer window shuts, but if we’re after a longer-term loan deal, then today’s the day. Can Rovers Maintain Play-Off Place With Win Over Crewe?